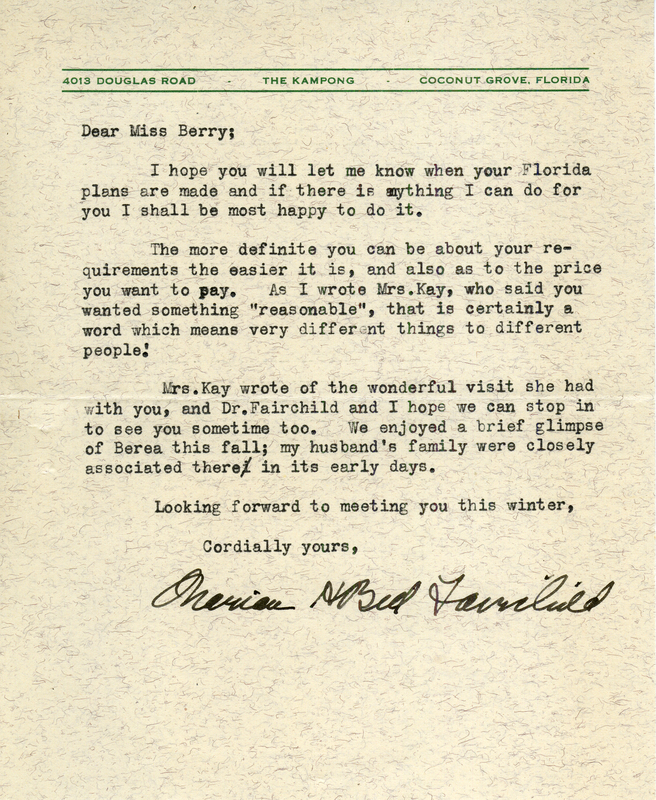 A letter from The Kampong Botanical Garden in Florida to Martha Berry, inquiring about her future stay and the exact amount she would like to pay. The Kampong, “A Letter from The Kampong to Martha Berry.” Martha Berry Digital Archive. Eds. Schlitz, Stephanie A., Olivia Mund, Justin Karch, Jessica Hornbuckle, et al. Mount Berry: Berry College, 2016. accessed April 21, 2019, https://mbda.berry.edu/items/show/14771.